We have all experienced a dead battery in our vehicle and the dread of not being able to start it, or that cell phone battery that died during that important call… or perhaps your GPS died on long ride or hike. 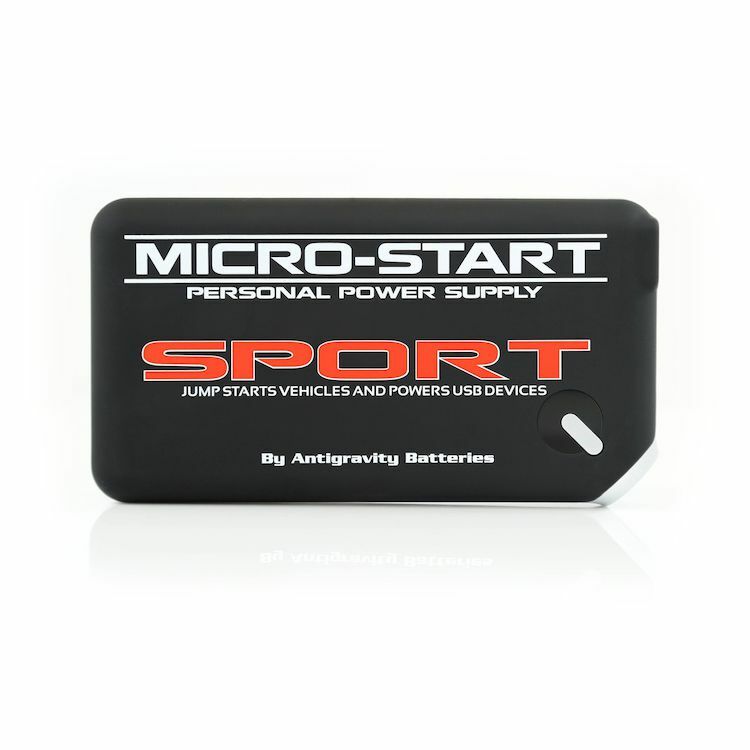 The MICRO-START is a pocket size jump-starter and back-up battery supply for all your electronic devices and ends those dead battery problems forever! Whether you are riding, driving, camping or hiking the Micro-Start is one of the most important items you will ever purchase. It offers safety and security in this world where we rely so heavily on our electronic devices and vehicles. The Micro-Start PPS (Personal Power Supply) is the world’s smallest Jump Starter and Personal Power Supply. 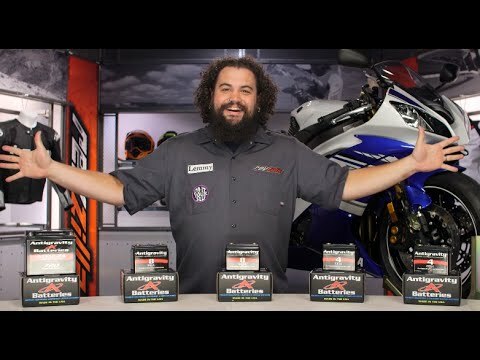 The built-in Extreme Power Lithium battery can hold a charge for up to a year and not only will it jump-start any car, truck, motorcycle or powersports vehicle multiple times, but also provides hours of backup power to all of your electronic devices. Weighing less than a pound and small enough to fit in your pocket, you can take it with you anywhere and remain confident that you will be able to start your vehicle, make that important call, or power your child’s PSP on that long trip in the car. It even has a built in flashlight with pre-programmed S.O.S patterns. Whatever you do, don’t get stuck without back up power again. The Sport model charges off of standard USB ports, like those used for your phone or on your computer. Note: Power supply charges itself off of USB ports like those used for cell phones or found on computers. The included 4-into-1 USB Cable can be used to connect the Micro-Start Sport to a USB port however no wall or car chargers are included in the kit. This device fits in the pocket of my jeans, jacket anywhere. It's slightly larger than my my Samsung phone. Remember to charge it a soon as you receive it. It does not have enough juice out of the box. The terminal clamps are a bit small but they get the job done. It helped me get a stranded fellow biker back on the road. It works and well worth the money. I'd been having trouble with my bike starting when its been sitting in the rain, so picked this up as insurance. Sure enough, I needed it a few days later when after work the bike wouldn't start. A few minutes later after connecting this to the batter terminals I was off and running. Its also great for charging my phone. I like to keep google maps up on my phone while I'm riding and it can drain the battery pretty quickly (one of my bikes does not have a power cord at the handlebars). When I arrived at my destination with a nearly dead phone battery I was able to easily fit both the micro-start battery and my phone in the back pocket of my jeans, charging the phone while I walked around. great tool to have for those road trips. It's a great gadget to have on the rode. I wanted something for emergency use only. You'd want a higher capacity model if you were going to regularly use it for charging devices. Small enough, powerful enough. Holds charge a long time, and used to jump start a friend's pickup truck... and it worked. Impressed. Keep it in my car during the winter and in the backpack on the bike for longer rides just in case. Just for emergencies and piece of mind it is worth every penny. Battery died on my 4 Runner and I was hanging. Never again. Figure I could use it on moto trips, recharge phone, GoPro and jump start car/bike without carrying cables - good write up on ADV Moto Mag. Is there an adapter available for the two prong SAE style plug on the pigtails I have attached to my motorcycle for the Battery Tender? BEST ANSWER: No, only regular jumper cable clamps for the battery (slightly smaller than for cars). There is a multi adapter for various cell phones, tablets, cameras, etc. I have used it several times. It does hold its charge a long time and does what it says as far as starting cars, motorcycles, and charging electronics. Is the "sport" the same as the "mini" that is featured in the video? I am not seeing that one anywhere. Is Xp-2 the same as xp-3 for starting vehicles such as a v8 truck up to 5.7l? if I have a co-ax type hardwire on my battery (for my heated gear) can the jump start capability of this device hook in through that interface, or will I still have to hook the jumper style cables onto the actual battery terminals them selves? BEST ANSWER: You would need an adapter. But as already mentioned the starter is likely to draw significantly more current than that cable is meant to handle. If there is a fuse in line on that cable you could try it, but better to just clip onto the battery with the provided connector - very easy to do. Not sure, but I expect starter will use more amperage than your heated gear wiring was meant to handle. I personally would not do it. How long does it take to charge the Micro-Start Sport? Unlike the other models this one charges from a USB connection rather than AC adapter, curious how long to charge from zero to full. BEST ANSWER: Mine came partly charged already and took less than 2 hours to reach full charge with a wall socket Apple usb charger. Already used it to start my car when it unexpectedly came up with a dead battery. It worked great and was still fully charged. Can you charge this with a standard apple usb wall charger? BEST ANSWER: The charging input socket on the Antigravity device is a micro USB. As long as you have that connector on one side and a standard USB that plugs into your Apple MacBook or Apple charger on the other side you are good to go. Any wall charger that has a micro USB will work. That's the beauty of this new device. Is this compatible with "Harley Davidson Iron 883 2013" motorcycle ?